Suppliers have started to be appointed to NHS England’s Health Systems Support Framework, which has been designed to support integrated care and population health management. The framework has been developed by NHS England to help sustainability and transformation partnerships (STPs) and integrated care systems (ICSs) procure integrated care records and advanced analytics needed for population health management, as per NHS England’s Five Year Forward View. It is hoped the framework will help create a “one-stop shop” for STPs and ICSs by having “pre-approved” industry suppliers which can help their population health management digital plans. In theory this will make it quicker and cheaper for organisations to procure technology, as much of the work involved in screening organisations and sorting out legal details will already have been done. 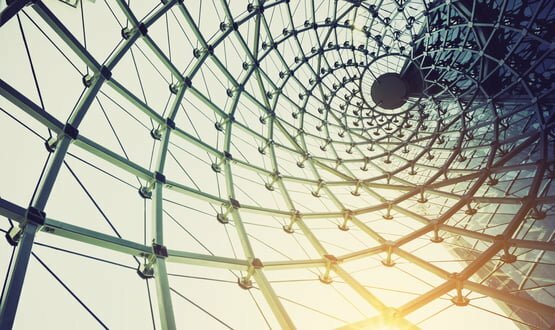 InterSystems, Allscripts, Orion Health and Cerner have all be appointed to various lots of the framework. The framework is structured around three areas: infrastructure, insight, and impact and intervention. This includes supporting the move towards health risk stratification, whereby algorithms can be used to identify people at risk of developing health problems and being admitted to hospital. A similar structure could be planned for GP IT systems, after NHS Digital published a prior information notice to kick-start interest in the new Digital Care Services framework, which will replace the outgoing GP Systems of Choice (GPSoC) agreement. Dubbed GP IT Futures, the £450 million contract will provide a contract vehicle for GPs, CCGs and other NHS Digital customers to purchase IT systems and services, managed by the national body. The new framework will extend support to community and mental health providers, as well as to emerging models of care such as GP federations and integrated care organisations. Where are these super, integrated systems going to get their data from? Mine is still in a 10 cm thick manila file somewhere in Manchester and others I’ve spoken to say theirs are on a similar medium. On ‘procuring technology’, I’ve said numerous times in NHS ‘Comments’ elsewhere that technology is a TOOL, no more, no less and needs a PROCESS to do any useful work. If you haven’t got process, you can throw all the technology you can lift at it to no avail. Many people think that NHS communications issues (they are legion) can be solved by giving everyone and his/her dog an iPhone and Bob’s your Uncle. The UK has already blown £12.5 bn. on a patient data exercise (NPfIT) but took no notice of the clinicians at the sharp end and the processes they wanted automating with technology. The culprits are still lurking somewhere in the undergrowth, except Richard Granger who jumped ship when he saw the big hole developing in the hull. Exactly, with regard to health DATA, from a national perspective the service has become uneven. In all other sectors (e.g. finance, retail, insurance, leisure …) the DATA levels the playing field for their customers. CUH is one of the better NHS Trusts, it is fortunate to have hyper-space, an integrated PAS developed by Epic, an American company, it is efficient. NHS national leaders need to come out of the undergrowth (leaders should be visible) and be a bit more vocal about what they are going to do to sort IT, they are public servants. If Babylon becomes more “national” I am sure the service it offers to all will be equal, especially the access that people have to their data including access to voice recordings of their consultations with clinicians. Clive – are you having a laugh? Most Trusts are not GDEs and simply can’t afford EPIC. Fair finance levels the playing field more than anything else. The NHS was utterly fragmented by the |Health and Social Care Act. As a result the NHS effectively has no National leaders. The Conservative 2010 manifesto was all about localism which many voted for as it sounded sensible. The flipside is that all strategic planning was delegated to a local level and managed by GPs and overseen by local authorities. STPs and devolved budgets at regional level are an attempt to re-balance the system, whilst moving accountability away from central government before the NHS grinds to a halt and our cousins across the Atlantic are invited to take it over under a post-Brexit trade deal/fire sale! 1. The Richard Granger directive that while the ill-fated NPfIT was in development, all regional/local IT major initiatives wee to go on ice. 2. When given regional go-ahead, any developments were likely to have been done without thinking about interoperability with other regions of even the NPfIT when it was working. Matt Hancock has come into the NHS saloon with all guns blazing and challenging anyone and everyone to a fight. His first action should have been a calm SWOTs analysis, followed by prioritised activities after root cause analysis on the real issues. Wyatt Earp when asked how he did his fast draw replied: ‘I do it slowly and deliberately to make sure I get the job done’. He probably also said at sometime. ‘I make sure I don’t shoot the wrong man’. Wise words for Matt ‘Shoot ‘Em Up’ Hancock although I’m sure his heart is in the right place but his brain doesn’t seem to be. Disagree B&T, IT is a people business, who are you anyway? anon ? In which case I ignore … Who are you ? The future of the NHS now lies with the IT suppliers, for the sake of future generations, the NHS should stand back and fully support them in every way it can. The problem is Clive that to reform an alcoholic, the first step, without which there is no recovery, is for that person to admit there is a problem. NHS in general and the IT side of it in particular think everything is rosy. Many people know this but can’t put their fingers on it – root cause analysis. Agree with you, the second step is to be open and honest about who / which organisations are actually going to be able to sort the problem, is the NHS ? I am just being honest … No, it isn’t. Is there an URL to this resource of suppliers , is now a closed club of suppliers. Or do you have to choose a Bessie mate . Just wondering how this will be disruptive / innovatitive choose the less fractious phrase. So new whizzy stuff ? 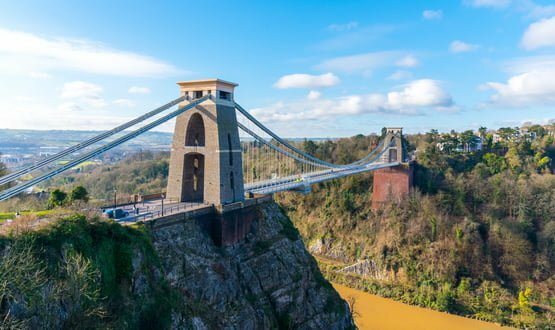 Bristol City Council is using a Care Connect FHIR API to link its substance abuse management system with the city's shared care record programme.